There’s no such thing as writer’s block. That was invented by people in California who couldn’t [blog]. Deeply woven into successful open education and pedagogy is an understanding and practice of what Lumen Learning defines as the 5R Permissions – Retaining, Reusing, Revising, Remixing and Redistributing content and ideas. 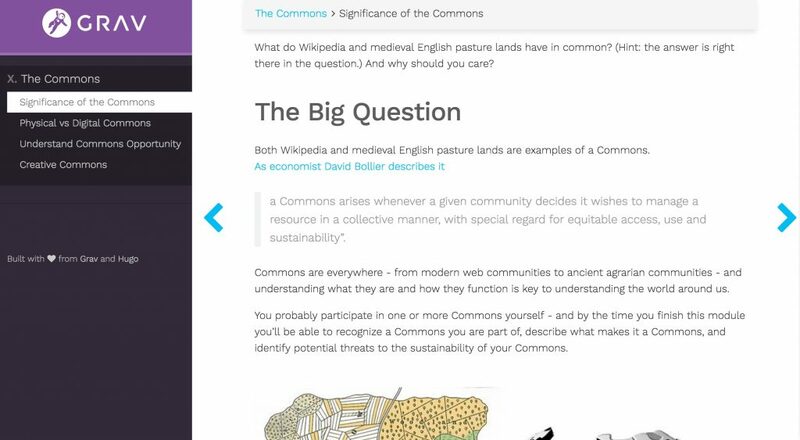 As one of the most visible ways to communicate these permissions, Creative Commons makes the 5Rs clear in the licensing of over a billion pieces of content. 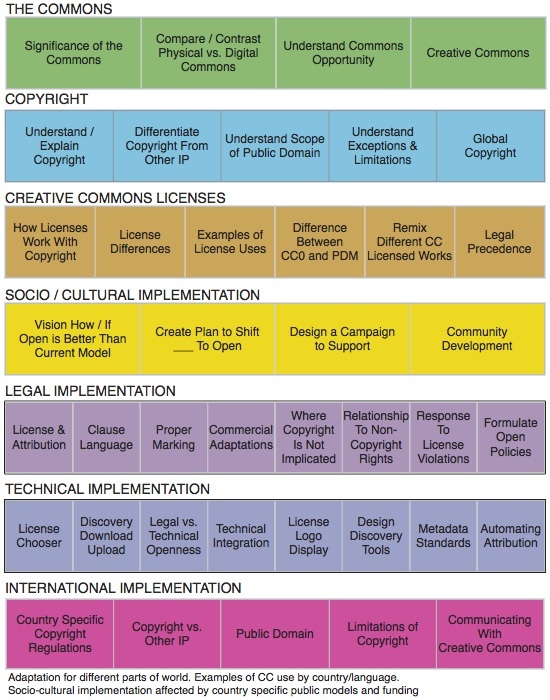 But understanding Creative Commons– as a content producer, as a content user, or as organizations supporting open practices– is more than reciting a list of licenses. 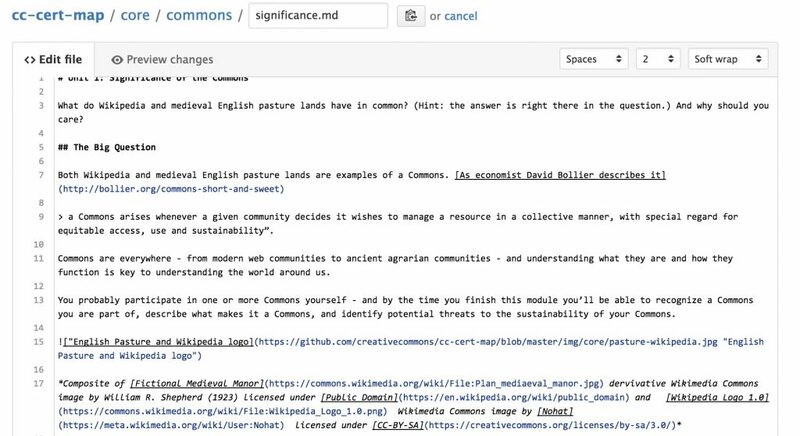 Therefore a new project has been underway to develop a Creative Commons Certification to provide organizations and individuals with a range of ways to demonstrate their knowledge and use of Creative Commons to place even more information into public spaces. It’s value is in the focus on a certification of performed skills and principles, not just an examination of factual knowledge. 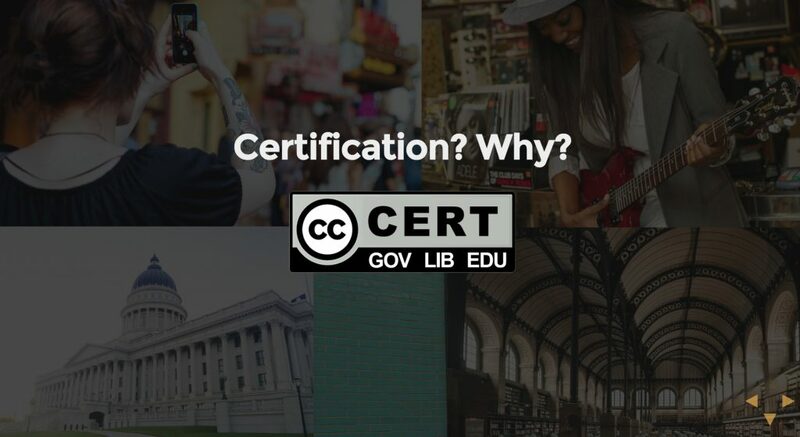 Openly sharing materials is a common value for the the Open Education community, and in this project we are pushing openness farther by sharing the process of design and develop of the Certification. 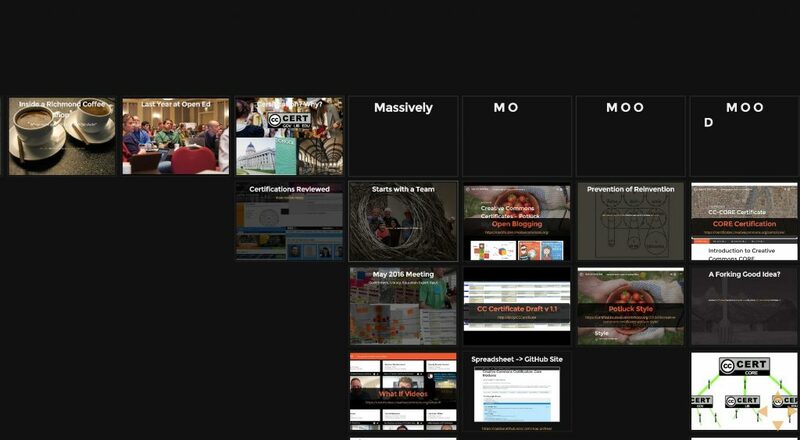 We absolutely implore that this not become a repeated acronym, but we share in this presentation how the project is an experiment in Massive Open OER Development. Yes, our mode was to be conversational, as if we were having a conversation over coffee. Also, because of the 30 minute time for the session, we built the presentation materials with a load of links for deeper dives. The “structure” of the certifications will be a series of modules and in those, learning units. 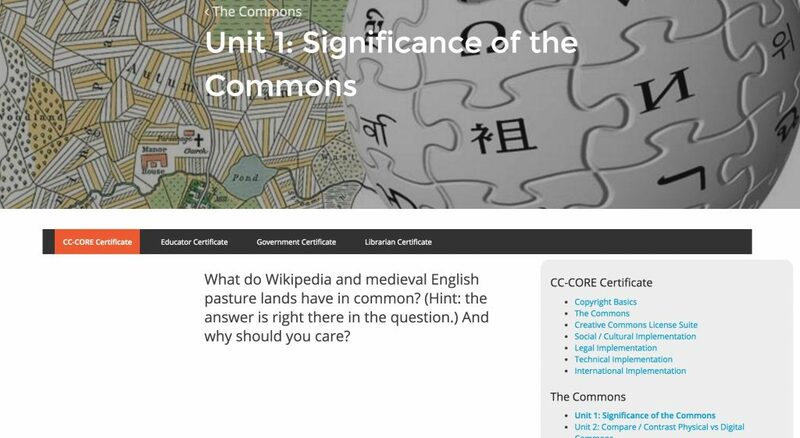 Each unit will include a “Big Question” to put the unit in context, learning outcomes/objectives, a framing set of opening questions to situate the learner and her prior knowledge, a selection of OERs to learn about the subject (and links to many more), a selection of activities to do that will result in a published public demonstration of a person’s work, and a summary response that answers the question. Most people would not want to fiddle with this- but once we publish the certifications, then we can offer the same content via GitHub, and anyone can spawn a copy, then modify. But this is just the content of the certifications. The things people will be doing to “get” (or we prefer, “claim”) a certification, is by completing tasks or as we are calling them, “Quests.” I am building a “bank” of activities using the same model of the DS106 Assignment Bank using the template version openly shared as a WordPress Theme into a Quest Bank. These are things people will need to do, publish their work at a public URL, and submit to the bank with a bit of written reflection, as evidence of their work on a unit. 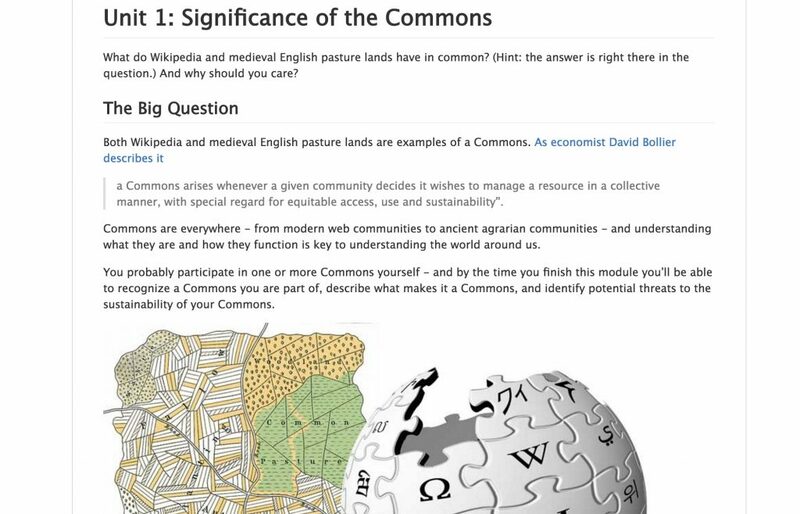 For a sample of what this might look like, see the example Quest for the unit under The Commons on Compare / Contrast Physical vs Digital Commons. 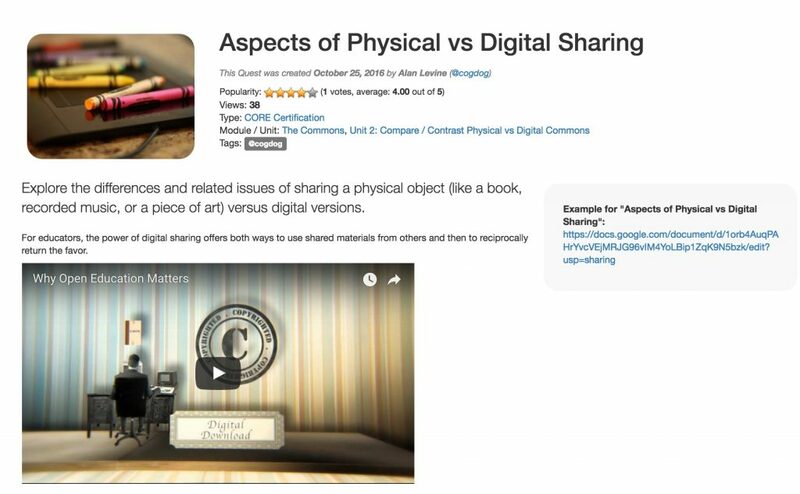 In this quest, you would explore the differences between sharing a physical and digital item you own. When completed, a response to this quest is added to the bank site. We will be able to track all responses you submit, and eventually have it sent to a credential site we are developing in credly. I may be conflating our “Quest” activities with the #CCQuest social media effort our team has been running, but to me it fits together. We published this one before the presentation to put it out there as a request. 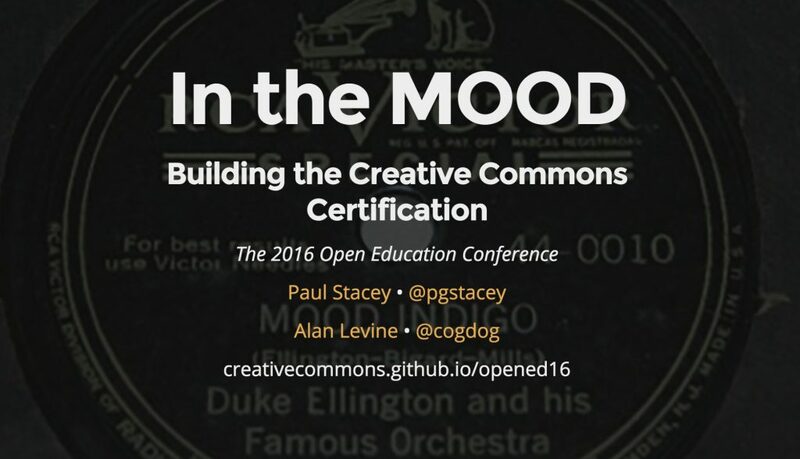 Paul recently wrote about his electrical blackout inspired idea to frame this project — A Community Sourced Credential – Is It Even Possible?. 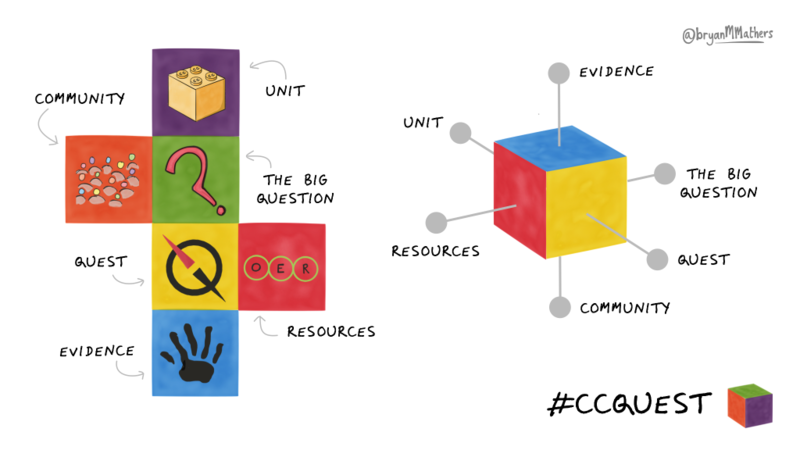 Paul envisioned the design of the units as a six sided cube: So many people, organizations have expertise and materials related to the units of the certification: And we ask in our #CCQuest if you, your organization, or some other one you know of might have an interest in “Adopting” one of the units. We are not asking you to build it, but to help develop the Big Questions, organize OERs, and provide ideas for quest activities. 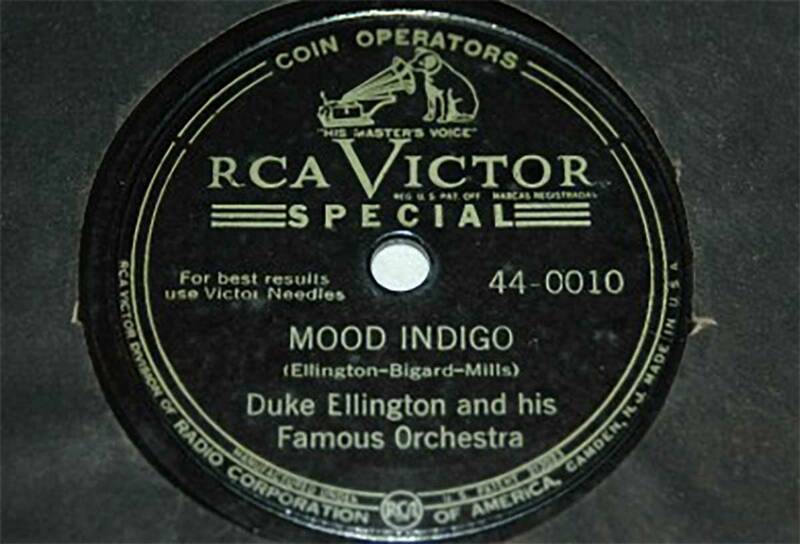 And we are asking again this week– are you in the MOOD with us? Thanks to Olga, we have some notes on the discussion from the audience, some technical, some operational. 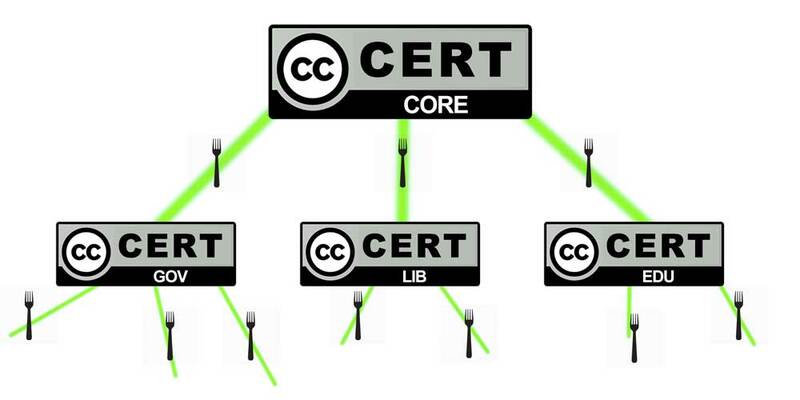 How do we identify all the forked versions of the certificate? What does this look like as a professional development? How official is it? How can I relate it back to my professional profile? When will it be available? Should we advertise the slow release of content so that people can use it as its available? There is something fascinating in watching an idea grow. Along with Ian Guest’s work on Twitter, I am fascinated in seeing how people like yourself work. It is at times even more fascinating than the ideas being built (although Creative Commons is REALLY important).